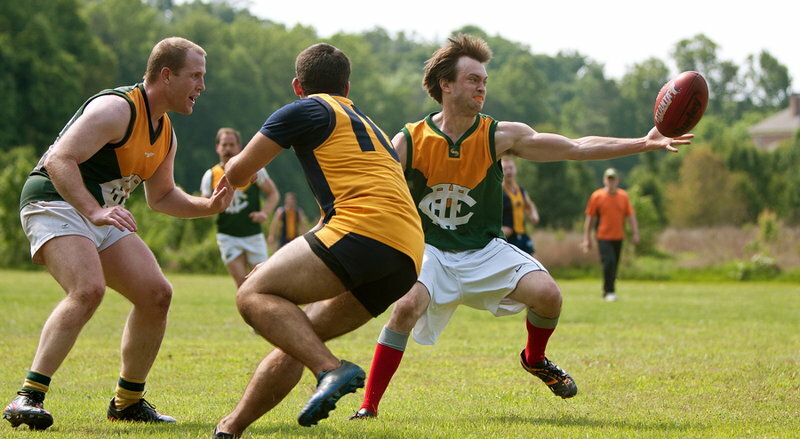 For an English audience, there are three sports that contain the word ‘football’ that don’t seem to bear any resemblance to the game that we know and love: Gaelic football, American football and Australian rules football. We’ve written about the first two elsewhere on this site, so this page is deduced to the latter of the three. Obviously the locals tend not to refer to it as Australian rules football, so it tends to by the title of Australian football, Aussie rules, football or simply just footy. It’s fair to say that casual observers might well find it to be close to impenetrable in terms of the rules, such is the extent to which they are many and quite finicky. The crucial thing to understand at this stage is that it is a contact sport that sees two teams of 18 go head-to-head on a field that is oval shaped; sometimes it’s even just a modified cricket ground. As with other types of football, the aim here is to score more points than the opposition, with extra time being used to decide a winner if they are level at full-time in some competitions. Perhaps it is the Irish connection that makes Paddy Power one of the best UK sites for betting on Australian Rules Football, with Gaelic football having many similarities. There is a kindred connection between the Irish and the Aussie’s and therefore you can’t go far wrong with PP. 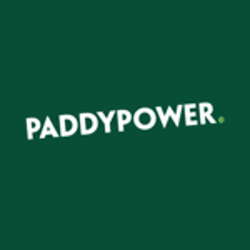 In terms of options and depth and range of markets there are very few who will beat this bookies. Odds may not always be the best, and if betting on outright results it may be still worth shopping around, but if you want lots of choice this is your bookie. This is also one of the few bookies where you can find offers and promotions for Australian Rules betting. During the early part of the colonies settling in Australia football was viewed as little more than a minor amusement when compared to the likes of horse racing and cricket, which were taken much more seriously. Even so, there’s plenty of evidence to suggest that one-off games were played fairly regularly, though they were nothing like the sport that became Aussie rules. It wasn’t until the late 1850s that public schools in the big cities such as Victoria and Melbourne began to organise more structured games, copying their English equivalents, that the sport started to take shape. On the 15th of June 1858 a match took place between St Kilda and Grammar and Melbourne Grammar. Within a month, the Bell’s Life in Victoria and Sporting Chronicle had published a letter from the captain of the Victoria cricket team saying that a ‘foot-ball club’ was needed to keep the cricketers fit in the winter. Tom Wills was his name and he had lived in England and attended Rugby School, meaning that the sport of rugby in its infancy was familiar to him. Within two weeks a friend of his had published a letter looking for volunteers to take part in a ‘scratch match’, which would be the first of many to take place over the years. 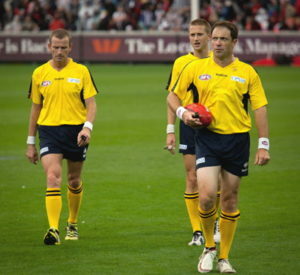 Perhaps part of what makes Aussie rules such a difficult sport to understand for the outsider is the fact that the games that took place in those early days were played between people that had either learnt some form of rules when living in England or else had never learnt any rules at all. This meant that the games were haphazard, without any real code being played and players just making it up as they went along, use trees to form goals. Melbourne Grammar and Scotch College played an experimental game against each other in 1858, which saw two teams with 40 players in each go up against each other. The contest lasted over three Saturdays and ended in a draw. It is still celebrated today with the playing of the Cordner-Eggleston Cup by the two schools, making it the oldest continuous competition of football in the world. Melbourne Football Club was born on the 14th of May 1959 and on the 17th the group of people responsible for its formation met in order to lay down the rules of the club. The rules were designed to stop the working men that would be playing the game from getting injured, as well as to make use of the hard surface found in Melbourne. Many also feel that the omitting of the likes of an offside rule was actually a reaction against the game played in England as anything else. 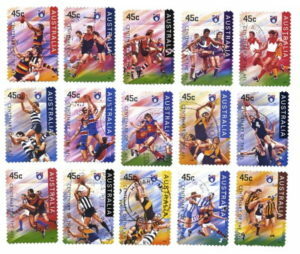 These new rules were soon promoted throughout the colonies, meaning that the game of Australian rules football was actually codified and promoted before both soccer and rugby. In 1859 both Melbourne and Geelong Universities formed their own football clubs, even though the rules still hadn’t been properly altered to make the game more interesting. Indeed, even by the middle of the 1860s it was a low-scoring affair that saw teams made up of around 20 players continuing the match until one side had scored twice. Even so, it grew in popularity and was soon being played in the rest of the Australian colonies. The formation of Adelaide Football Club in 1860 saw the game popularised in South Australia, with the club developing its own rules and playing with them alongside other clubs in the colony until it was agreed to play by the Victorian rules in 1876. 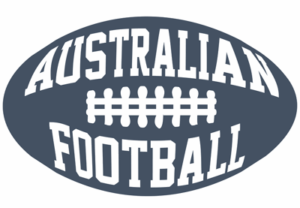 That was soon followed by the formation of the The South Australian Football Association, which was the first governing body of the sport, in 1877. The game had also been taken to Queensland in 1866 but struggled to take off, at least in part because rugby was becoming popular. In 1896 the six richest clubs in Victoria gathered together in order discuss the possibility of creating a professional competition. Representatives of Fitzroy, Melbourne, South Melbourne, Carlton, Geelong and Essendon were later joined by St Kilda and Collingwood in the formation of the Victorian Football League. Its first season took place in 1897, with the competition’s popularity growing year-on-year. One of the reasons that more and more people were turning to the VFL was that its organisers were innovative in its rules, introducing aspects of the game that are now considered to be mainstays. Teams were reduced from 20 to 18, for example, whilst also bringing in the ‘behind’ as a score. The league added more teams over the following few decades, meaning that by 1925 it had become the most important league in the game. As has been hinted at elsewhere on this page, Australian rules football is not a simple game to understand. For fans of the likes of rugby it’s a game that has its own personality, but that might be easier to grasp than if you’re a lover of traditional British football, for example. Part of the reason for difficulty in getting your head around how the sport works can be demonstrated with the field. The pitch that the game is played on has no fixed dimensions, though at the senior level of the sport you’ll find that they tend to be somewhere between 110-155 metres wide and 135 to 185 metres in length. Even the dimensions of the field are hard to understand, however, because they pitch is oval in shape. That’s why cricket grounds often become the home of Aussie rules teams, with Wills suggesting in the 1850s that cricket pitches would benefit from football players cutting them up in winter months. There are 18 players in each team, or 16 in the women’s game. There are also 4 interchange players who, as the name suggests, can be used to replace those playing at any point. The players have to exchange places by running through a ‘gate’ on the side of the pitch. In some versions of the rules each team also has a designated player who can come on to replace someone permanently during the game. Matches last for 4 quarters that is each 20 minutes each length, with the clock stopped by the timekeeper for the likes of scoring, an injury or the ball going out of bounds. This normally means that the quarters last for closer to half-an-hour than 20 minutes. Half-time lasts for 20 minutes, with an additional 6 minute break coming at the end of the first and third quarters. Interestingly, none of the players, umpires or those watching in the crowd get to see the official game clock, which is the sole reserve of the time-keeper. They sound a siren when the game is due to start and end in each quarter. Teams are allowed to keep time in order to have some sense of how long is left, getting the message to their players via substitutes and the like. As with football, the direction that each team will attack is decided by the toss of a coin at the start of the game. It gets underway when the umpire bounces the ball and a ruckman from each side attempts to get hold of it. This is called a ‘ball-up’ and can be used to restart play mid-game should there be a particularly contentious issue at play. The ball can be moved around in whichever way the players like as long as they kick it, punt it with a clenched fist or tap it with an open hand. The key thing is not to throw the ball as this is prohibited. 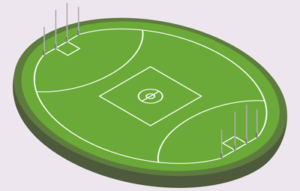 Players can run with the ball but it must be bounced on the ground or touched to it every 15 metres. If a player attempts to move the ball on by some method other than those mentioned then they will incur a free-kick for ‘incorrect disposal’ of the ball. Opposition players have the job of trying to dispossess the team with the ball, which can be done by bumping or tackling the ball carrier. When tackled they must release the ball cleanly or they’ll be penalised. Tackles can only be committed between the knees and shoulders, with those down outside of that area usually resulting in a foul. When a ball is kicked more than 15 metres and is caught by a player on the same team as the kicker, the play stops and the person who caught it marks their place, which is why it is called a mark. They then get a free kick to try to score a set shot and earn points. Players can choose to play on and not take advantage of the free kick, should they wish to. 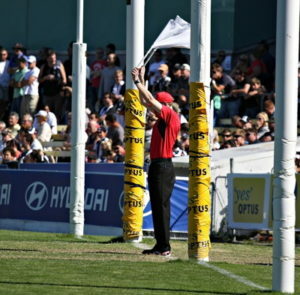 If you were to look at an Aussie rules pitch you would see 4 posts at either end, which constitute the goal and the behind posts. The 2 in the middle are the goal and the 2 at either side are the behinds. A goal is scored when the football is kicked between the two goal posts, even if it’s actually over the goal. It can either go through without touching the ground, which is called ‘on full’, or it can bounce before it goes through the posts and as long as it hasn’t been touched by a player or the posts it will also count. This is worth 6 points. If the ball hits one of the goal posts or goes between the behind post and the goal post then it’s worth 1 point. Equally a single point is awarded if a normal goal is scored using any body part other than the foot. Should the ball touch an opposition player on the way through to a normal goal being scored then it will also only receive 1 point. It is possible for an opposition player to deliberately score an own goal in order to stop the opposition from scoring a 6 point goal, though a free kick is awarded if they do. The team that scores the most points at the end of the game is the winner. It can be a draw, but in the big finals and important competitions it is usual for extra-time to be used to decide upon a winner. If teams play each other once home and once away then the score from both matches will be added together. The rules of the game are actually more complex than have been described here, but hopefully it gives you some notion of what to expect if you ever watch a game. In Australia the football season tends to run from March to August, unless in the tropics when it’s from October to March. 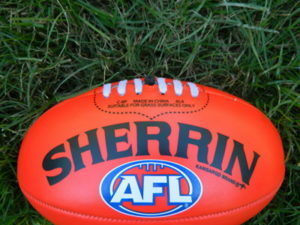 The Australian Football League is the main competition in the country, recognised by the Australian Sports Commission as the sport’s national organising body. 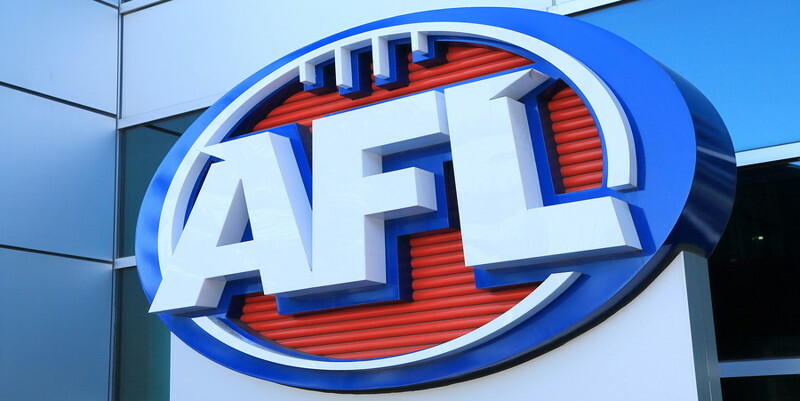 There are a number of different organisations across Australia, but most of these are either owned or affiliated with the AFL. The aim of every club is to win the Premiership, which is the most important competition in the sport. As you might have guessed if you’ve read the rest of this page, betting on Aussie rules football isn’t an easy affair because of the complicated nature of the game.